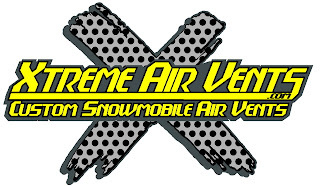 Xtreme Air Vents was kind enough to recently test out some of the gear we designed with Mountain Riders & Western Riders in mind. Read on for the full story! “OK so I had a chance to ride this season with the prototype 2013 Castle X riding gear. Castle X invited me to ride with them in February for 5 days in Towgotee Wyoming to shoot some video and stills for their new 2013 product line. I am no stranger to Castle X and have even been given the opportunity to offer my input in the past year on what I think would make their gear even better for mountain riders. I had no idea what to expect when I arrived at Towgotee and found 5 huge boxes of gear. I opened the boxes and my mouth dropped. Castle X had completely redesigned their gear for mountain riders. Lightweight, waterproof, highly flexible, un-insulated for extreme riding! To top it all off the colors and patterns were awesome! The coats have tons of venting, sealed seams, few pockets, and the material is incredibly soft. The pants have lightly padded knees, great snow gaiters, lightweight construction, and great reinforcements. I am SOLD! No need to go blow your whole wad on special K or MF this gear looks great and works awesome. You won’t be disappointed! The castle goggles have been great. I use them on every ride. They are very fog resistant and I highly recommend them to all my buddies. I have switched back and forth between my Smith, Haber’s, Spy and Scott goggles and next to my Smith’s the Castle ones are the best! If you are a mountain rider like me I highly recommend Castle X clothing. You will not be disappointed and you won’t blow your entire paycheck getting outfitted. Castle makes high quality, highly waterproof, very breathable, and very stylish gear. In this day and age, awesome gear for less money gets an A in my book.